We’ve made impact measurement a standard part of every learning program. Measure and understand the impact of learning–no data scientists required. With Axonify Impact™, our microlearning platform’s AI-powered learning attribution engine, you can use the power of big data to measure—quickly and easily—how learning drives business results and performance. With a complete picture of how learning impacts business performance, organizations can pull strategic levers in real-time to get results. 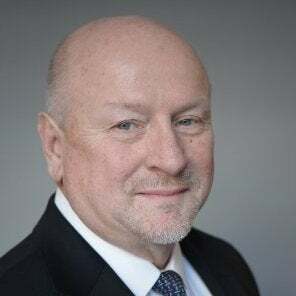 With the complete picture on learning, organizations can pull strategic training levers in real-time that yield the greatest business impact. Track behaviors and automatically fill individual gaps. Know which programs are working, and which ones aren’t. Tweak underperforming programs to stay on target. Empower managers to act when goals are at risk. Set individual, team or company level business targets, tag the training programs that correspond to them and Axonify Impact will tell you what’s working. Get detailed insight on how knowledge, participation and even demographic factors impact your business targets like sales, shrink, safety, customer satisfaction or virtually any KPI your business tracks and trains on with Axonify. With Impact, you’ll know exactly what training topics are translating into behaviors and performance. And when programs aren’t impacting results the way you thought they would, you can proactively respond by determining the root cause using data. 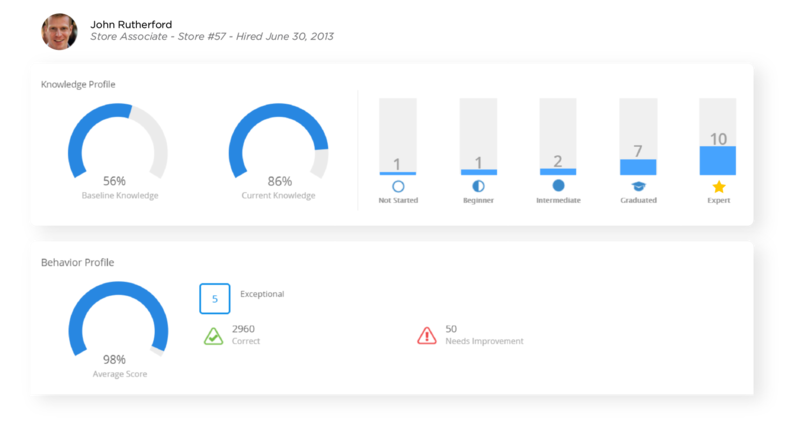 Axonify Impact allows you to define on-the-job behaviors that correlate to business goals, then observe and track those behaviors in the platform. You can then fine-tune learning and identify coaching opportunities for managers based on what you’re observing. Leaders can set business targets at a team, location or individual employee level. 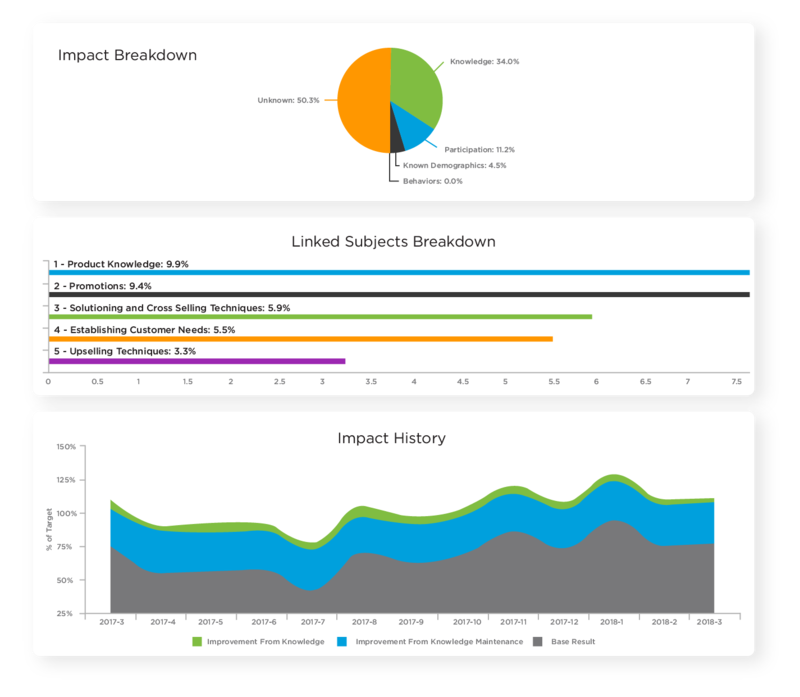 Then Axonify Impact provides frontline managers with a real-time view into whether their teams are on target. When a business target is at risk, frontline managers are alerted to what they need to do to get things back on track. 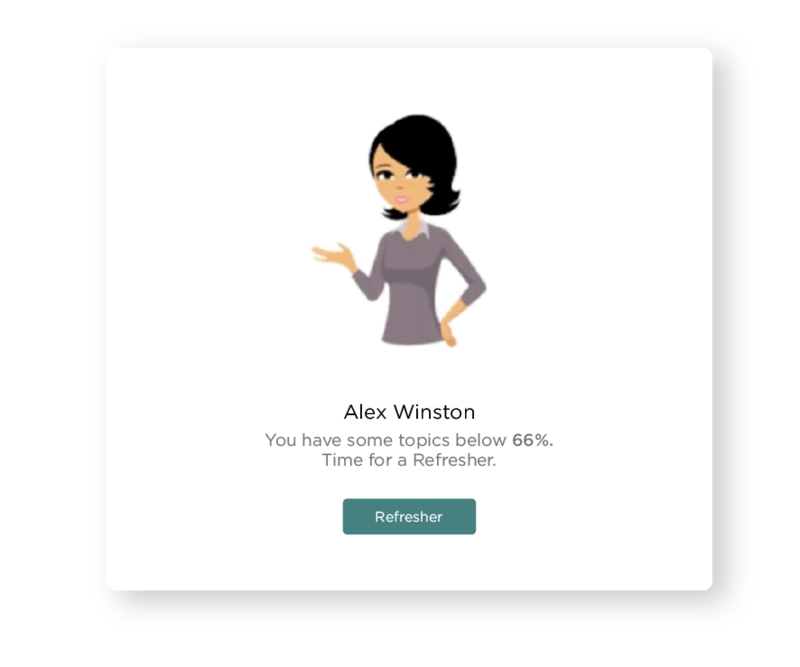 Axonify Impact closes the loop on learning by feeding gaps (both behavioral and business) back into our AI-powered platform to push out refresher training to get things back on track. Axonify takes care of the heavy lifting so that frontline managers can focus on coaching and solving day-to-day operational challenges. Learn how this iconic chain of luxury department stores used Axonify to reduce safety claims, and tie training efforts directly back to the company’s bottom line. Learn more about Axonify Impact, the world's first learning attribution engine that lets you measure and prove the business impact of training—at scale. Axonify customers love Axonify Impact! Customers share their candid reactions about finally being able to measure, understand and prove the impact of training. Watch Axonify’s CEO, Carol Leaman provide an overview on how big data and machine learning have finally come together to enable impact measurement. Questions about measuring training’s impact? We’d love to help you out.